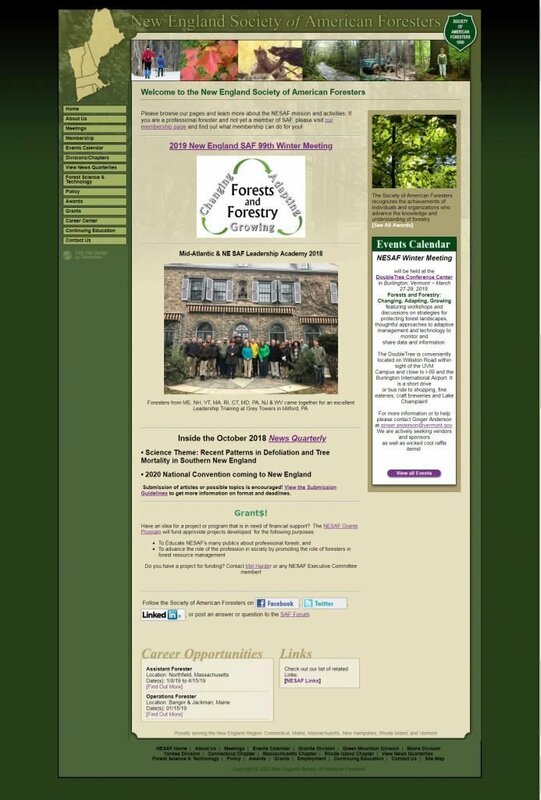 foresters in the Northeast started in the early 1900’s. To get started, we did an inventory of everything on the old site. what pages are no longer needed. Then we regrouped the new content list into as few topics as possible. This became the basis for the new site navigation. And finally we reviewed a few related web sites to help identify styles they liked and which design elements seem most useful in this space. The rest was up to me. The client was mostly done except for providing review feedback as I work through the development process. And of course providing and re-writing content. The end result for NESAF I think is fantastic. It looks great, they are finding it easy to administer, and they are attracting a lot of web traffic. If you manage a non-profit and want help rebuilding your website, please give me a call. I’d love to build an outstanding website for you as well. 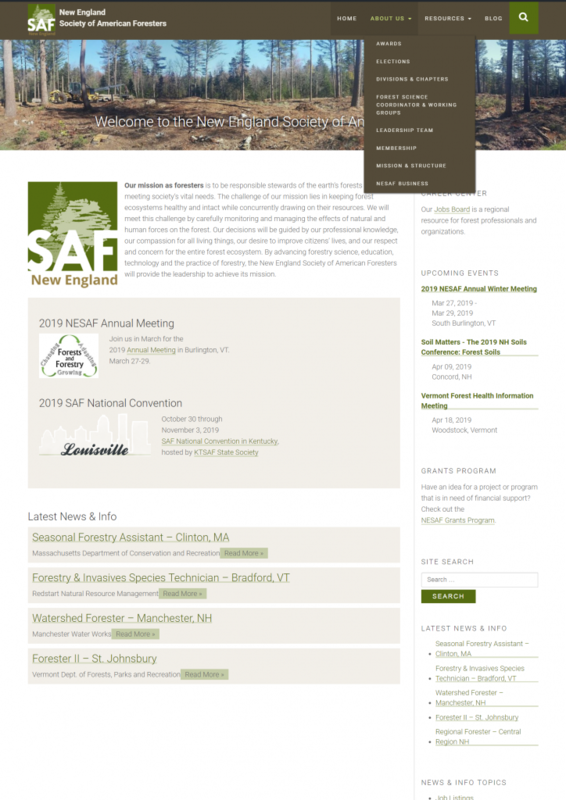 If you are an SAF member, mention this blog post and I’ll give a free website review and $60 off a new website.